“Gentlemen, we have run out of money. It’s time to start thinking” nuclear physicist Ernest Rutherford famously said. Addressing health inequalities shouldn’t be Mission Impossible, but we need to be bold and act as though time itself has run out – because it has for those living in the gap. With the help of 130 delegates, speakers and volunteers, our Closing the Gap conference on 11th November 2015 set out to be bold and do some hard thinking, with the help of a count-down clock to concentrate our minds. In 2012 Audit Scotland questioned whether existing strategies for reducing health inequalities were making any significant impact, and called for more effective partnership working across organisations, together with a greater and shared understanding of what is meant by health inequalities and organisations’ roles and responsibilities. 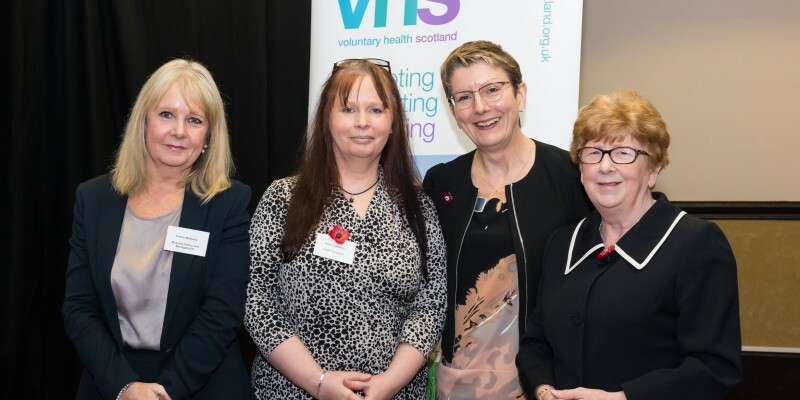 Two years into VHS’s own efforts to shine a light on the voluntary sector’s contribution to tackling health inequalities, it is hard to avoid the same conclusion and frustration at the lack of strategic and effective partnerships to close the health inequalities gap. When VHS held its first seminar on health inequalities two years ago we asked voluntary organisations how they would define health inequalities and they said: “You are sick more and you die younger”. This definition of the health divide is so much clearer and harder hitting than many others. It conveys a sense of the lived reality at the sharp end of getting through each day with poor health and reduced life chances. That led us to commission Living in the Gap, A voluntary health perspective on health inequalities in Scotland. We need to change public perceptions of what health care should be, and prioritise those who need is greatest, not those who shout loudest. We need significant political leadership that goes beyond rhetoric and delivers long term thinking and a sustained investment programme in the prevention of inequalities. We must challenge ourselves and others. Being risk averse won’t change anything. We can’t be constrained by what has gone before and we have to really mean it when we say we have an open mind to new ideas. We must look at the evidence of what works, but not get bogged down on evidence, as that is already in the past. We must keep looking ahead, jump forward and ask ‘so what?’ all the time. We should involve the hardest to reach in shaping solutions and ask our children and young people for their ideas on what to do. We must challenge health and social care integration players to be radical and serious in addressing health inequalities, to take a human rights approach and to grasp that the third sector cannot go on filling in the gaps without proper investment. We must increase accountability; for example, by having health inequalities as a standing item on the agendas of Integrated Joint Boards, so that minutes record what decisions and actions are taken. We need to mobilise a third sector voice, create a direction, and build new alliances. We have to get businesses and employers actively involved in the agenda, because health inequalities are undermining sustainable economic growth and Scotland’s prospects of being wealthier and safer as well as healthier and fairer. In other words: make health inequalities everyone’s business; prioritise inequalities for investment; and require, and deliver, partnership working between sectors. As Paul Mason pointed in The Guardian earlier this week: inequality did not disappear spontaneously in the post war period: it was actively suppressed. If we are not the people charged with actively suppressing inequality, then who is? If we bring all of our experience, knowledge, connections and resources together in partnership, then we will start to fill in and close that gap.